With major elections happening every two years between midterm and presidential cycles, our televisions are flooded with campaign ads. And, often times, those ads are attacks on the opposition. And someone is behind those ads and helping to fund them so they get on television. Those groups are called “dark money groups,” and they’re organizations that receive millions of dollars of donations from companies and businesses to fund those ads exacerbated, in part, by the Citizens United decision. Non-partisan advocacy organization Issue One spent a year combing through thousands of financial filings over a six-year period to figure out where the money was coming from and who it was going to, ultimately compiling a database that outlined the top 15 “dark money groups” in the country. 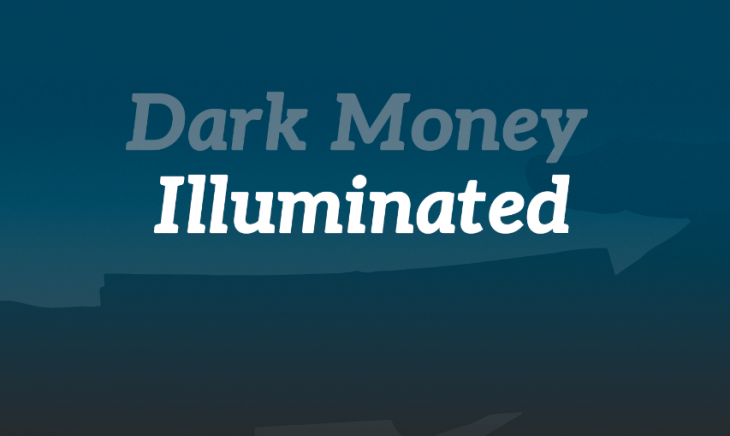 From there, Issue One released an extremely detailed report on their findings, called “Dark Money Illuminated,” profiling the 15 groups and explaining how they built a database for the general public to access and view. How did you come up with the project idea to look into dark money groups? Well, certainly, we’ve known for a number of years that dark money organizations are playing a larger and larger role in our elections. Ever since Citizens United ushered in these new groups and their ability to spend vast amounts of money influencing elections, dark money groups and their spending have been worrisome and we wanted to put together a project that would investigate this and highlight the fact that there are bipartisan solutions to the issue of dark money. I think the report does a good job showing that there are bipartisan organizations out there. There are groups on the left and the right that are spending vast amounts of dark money in politics and there are also a growing chorus of voices on the left and the right calling for the need for more transparency around the issue of political dark money. 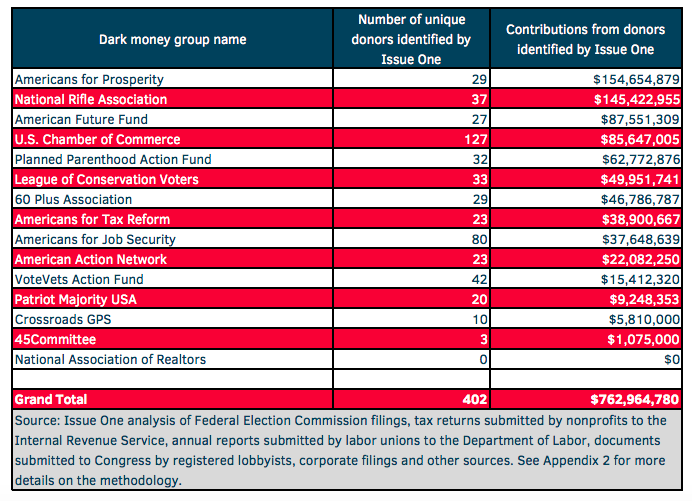 Why is it important to expose dark money groups in politics? I think a lot of people are being bombarded by political ads and we see time and time again that a lot of the sponsors of these ads have very upbeat-sounding names, positive-sounding names that don’t give voters a lot of cues about the agendas of the people who are actually bankrolling these organizations. So, we spent a year delving into public records trying to investigate and uncover as much information as we could about the donors behind the 15 largest dark money organizations. Ultimately, it’s our hope that this work and other transparency measures will give voters and the TV-viewing public more information about the messengers behind the political messages that they’re seeing. Ultimately, voters deserve to know who is trying to influence their vote. How did you determine the timeframe that you chose to use for the investigate? The timeframe started with the Citizens United ruling in January 2010. That court ruling was a game-changer and really the impetus for the surge of dark money that we’ve seen in politics. So we looked at the 2010 election cycle from the start of January; we looked at the 2012 election cycle; we looked at the 2014 election cycle; and we looked at the 2016 election cycle. So the last four elections. The 2016 election cycle is the most recent completed election cycle. Of the 15 groups we profiled, most of them are still currently spending in the 2018 mid-term elections. But, the spending is ongoing in the 2018 mid-term elections, so it made sense for us to start with Citizens United and end at the most recently completed election and know that many of these groups are still active players in the 2018 elections, but how much they spent won’t be known for several weeks, several months since we published this report. Were there any trends that you found in terms of the dark money groups being linked to one particular party? There are conservative groups on this list and there are liberal groups on this list. It’s clear that, even as Democrats have decried dark money in politics, there are some Democratic operatives who want to fight fire with fire. The majority of the top-15 organizations are more conservative or Republican leaning. It broke down about two-thirds conservative, one-third liberal. But, it is clear that there are partisan operatives on both sides of the aisle who want to be using every weapon they have at their disposal, including these dark money groups to wage electoral warfare. So, you see groups on the right and on the left taking advantage of these new contours in the campaign finance landscape and spending tens-of-millions of dollars in political dark money. How much of this project was geared toward exposing dark money groups compared to exposing the companies who are funding the groups? Our goal is to provide more information to the general public about who is bankrolling these groups and who is calling the shots behind them. I think when voters see ads on television or the Internet or hear ads on the radio, they deserve to know who is trying to influence their opinion and sway their vote. And without new transparency rules, this report shows that the vast majority of dark money is still “dark” and it’s very difficult – even for experts and for people who have ample time – to dig into these organizations to uncover from public records alone who the true identity is of the source of these fundings are. So, we did this project in hope of spurring action that there can be bipartisan momentum to shine more light on dark money groups to give the public more information the messengers behind these political messages. With close to a dozen people working on the project, how were reporting duties split? We started this project looking at data at opensecrets.org to see which organizations were the top-spending political organizations when it came to dark money. We know that there are a number of different avenues that you might be able to find some obscure public record that shows money flowing into dark money groups even when those dark money groups don’t need to disclose their donors publicly. I am the research manager here at Issue One. This was a project that I conceived and worked with a number of staffers and interns here at Issue One to go through all of these obscure public records. We had entire months where we were doing document collection. Going out trying to find IRS form 990s that non-profits file about their financial activities. We looked at filings that labor unions submit to departments of labor. We looked at filings that companies, more and more increasingly, are voluntarily publishing on their own websites about their contributions to politically-active non-profits and trade associations. We looked at filings in the federal election commissions finance database. We looked at records that registered lobbyists submit to Congress about their own political givings. So, we tried to look under all these various rocks, every nook and cranny that we could, to put together this comprehensive, first-of-its-kind analysis of how much money was flowing into these groups and from whom. Did you use any data-gathering tools to collect the data, or was it mostly manual searching by your team? Most of it was brute force manual labor. We built a few spreadsheets to help us track what we were doing and there are a couple of resources out there. We were doing manual searches on the Department of Labor’s website to look for money that was reported as an expenditure by a labor union. 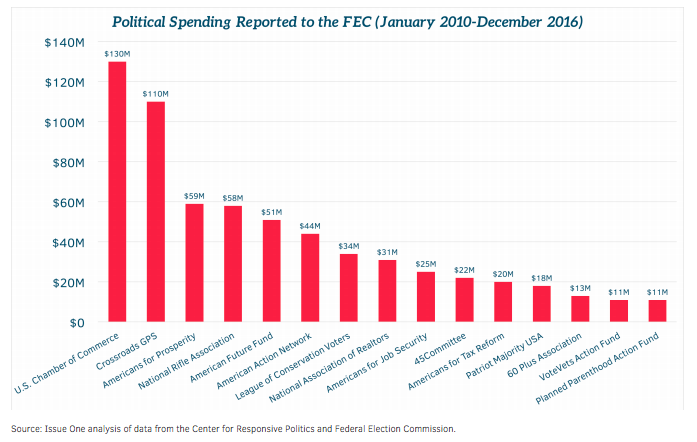 The gist of what we were doing was looking for places that a donor or donor organization might report an expenditure that might show up on an expenditure filing, even though these 15 dark money organizations would never report the money they received as a contribution to the FEC. So, the FEC has an expenditure search that people were manually looking through; the Department of Labor had an expenditure search webpage that people were looking through; some of the non-profit tax filings were searched on opensecrets.org or on the Center for Public Integrities website or on the website citizenaudit.org, which allows people to search for a key word or phrase across various IRS form 9-90 filings. But, once you got that hit, you had to look at that report manually to make sure it wasn’t a false positive and you had to make sure it was a contribution or expenditure that we were looking for. There was no scraping or more systematic technological process other than just a lot of shoe leather and brute force data entry and reviewing hundred, if not thousands of records and forms to build out this database that ultimately had about 1,200 records in it. Were you expecting this project to take you the year that it did to complete, or were you thinking less or more time? When we started the project, we weren’t sure how long it was going to take. 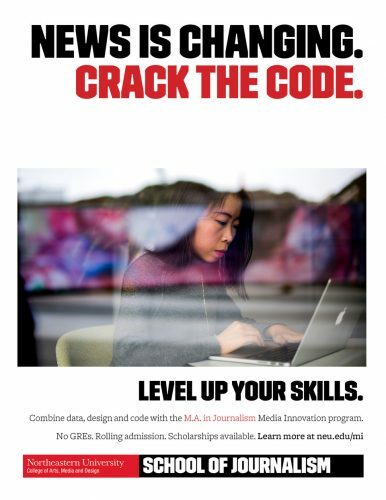 We knew what the methodology was that we wanted to pursue and certain aspects of that methodology took longer than we anticipated. A lot of these public records are only filed once a year, so, as we continued to go down these rabbit holes, we knew that if we just waited a few more months, then we’d get a whole slew of new records from other non-profits or unions or companies that were filing these reports. There was almost an infinite amount of searching that could be done. But, at the same time, we knew that we had put together a pretty good methodology for looking at the four most recent elections. At a certain point, you just have to move forward with the amount of work that you’ve done, to say that we took our best efforts, we know that this, at the very least, represents a conservative estimate and also I think the most comprehensive collection of dark money contributions put together to date. 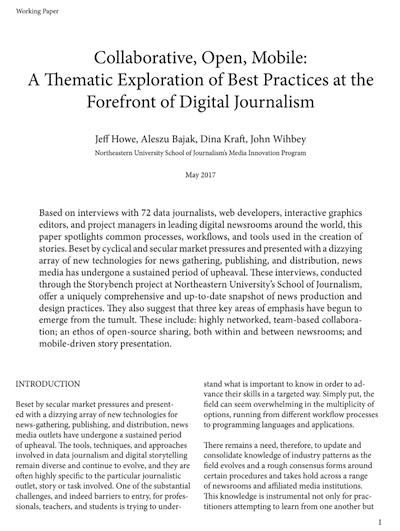 Nobody has every systematically put together records from as many diverse data sources into this type of analysis for so many organizations. 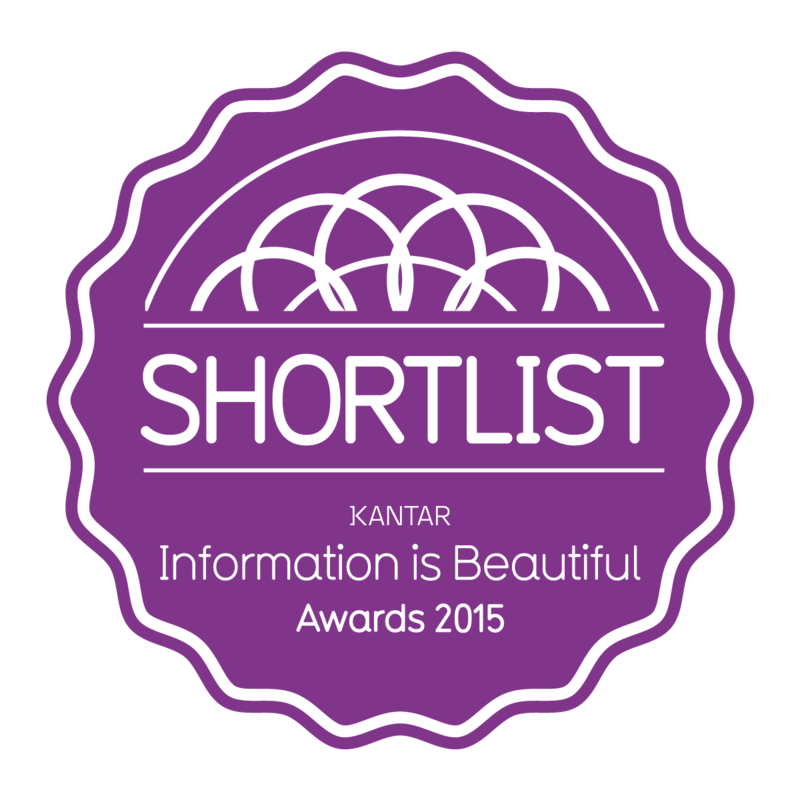 Why did you choose to make your database available for public viewing? The hope here is that this project spurs a greater understanding of the role of political dark money and it spurs a greater awareness that dark money groups are playing in elections and spurs some momentum of members of Congress on both sides of the aisle to be taking action to bring more transparency to the problem of political dark money. 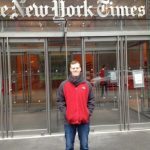 In the meantime, I think we published the report, the profiles, the database, the methodology of what we did to show the public a guidebook for ways that they too can follow the money in politics and know that these are some of the major players funding some of the leading dark money organizations. So, if you’re a member of the press or the general public, you can read this report, read the methodology, read the profiles of these 15 groups and have a greater understanding of who these major political players are and who is bankrolling at least a portion of their financial activities.